In today’s video, we’re sharing a couple of LinkedIn networking tips. Specifically we’re going to be talking about the profile rating LinkedIn provides and how to improve it. LinkedIn claims that complete profiles generate 40 times more likely to receive opportunities on its site. 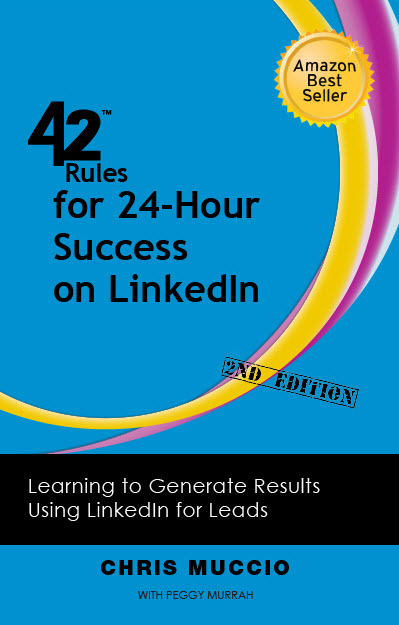 The following is an excerpt from our most recent book, “42 Rules for 24 Hour Success on LinkedIn, 2nd Edition.” Des Walsh’s Success: Perform an action a day. Sustained small steps can ultimately lead to big successes. There are millions and millions of people on LinkedIn and attracting them to your profile is getting more challenging. It is critical to identify and pursue effective ways to make it easier for people to find you on LinkedIn. If you’ve spent time creating the perfect LinkedIn profile and taken the opportunities to update it regularly you’re a step ahead of the competition. Getting more eyes on your profile, and for longer periods of time, will increase the likelihood of a visitor becoming a contact, a contact becoming a lead, and a lead a success story. Don’t fret if you need a little LinkedIn help to get noticed because that is exactly what today’s post is all about. 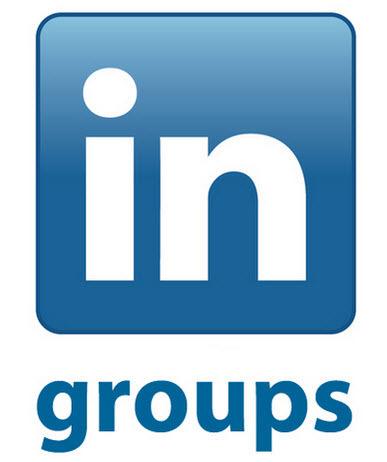 LinkedIn groups are one of the more powerful tools this platform has to offer. By joining and participating in the right groups, you can engage your target audience and create relationships. In this article written by Chris Muccio for the South Florida Business Journal, he offers some LinkedIn networking tips focused specifically on LinkedIn Groups. 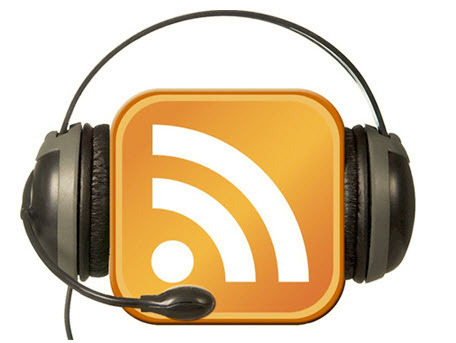 Part social-tech podcast and part entrepreneur podcast, the engaging combination of Chuck Hester and Chris Muccio, both social media pros in their own right, bring honed but easy to follow advice about the booming business and social platform that is LinkedIn. 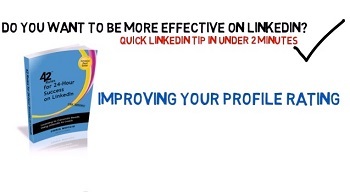 How do you become more effective on LinkedIn? In our video series, we share quick tips in under 2 minutes. Here are a couple of quick LinkedIn networking tips. One of the easiest things you can do to build awareness of your business is to effectively build connections. Just think, if you can find and properly invite just one person from your target audience every week to your LinkedIn page, you will generate 52 quality connections by the end of the year. Granted, that may not sound like a lot but once you start seeing the results of your efforts, you can easily ramp up that number significantly each week.